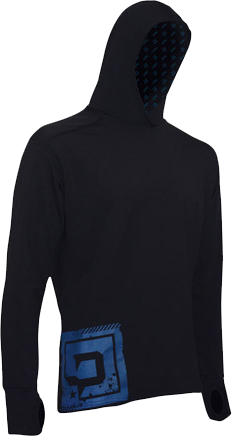 Helly Hansen Warm Crew and Pants: These were my go-to option for all of last winter. Whether heading out for a day on the slopes or an afternoon snowball fight, I was warm as I wanted. Amazing wicking performance and incredibly comfortable. Smartly placed seams with "flatlock" stitching all but eliminated rubbing. They were super thin too, so they pack down to next to nothing. Our early June BWCA trips can be chilly at night, but with these along, I never felt a chill. Making the transition from frigid cold to a spring chill without issue, I was amazed at their versatility. 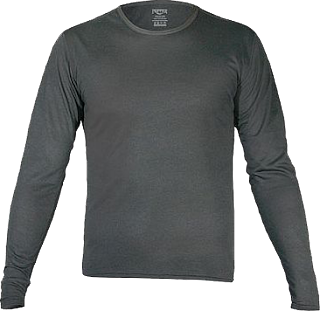 Of all of the base layers tested, these have held up best to repeated washings and heavy abuse. If you have to pick just one, these get my vote. Icebreaker GT Quest: Are you a winter time runner? If so, then these are a must buy for you. Perforated "eyelet panels" provide max ventilation, a loop on the neck keeps your headphone cord from flopping around, and a pocket in the back keeps your gels handy. Super light 200 weight fabric is warm yet light, fast drying and odor resistant. 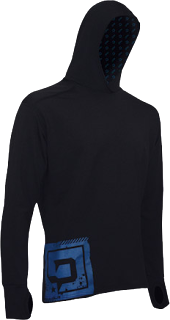 At 97% merino wool with a dash of LYCRA, there simply isn't a finer blend of stretchy warmness. The Icebreaker gear takes all the itchy out of wool. At first I was reluctant to put wool directly against my skin, but this stuff is mind blowing. I have paddled, run, hiked and played in this shirt and never once was I unhappy with it. For those highly active people that scoff in the face of Old Man Winter, meet you new best friend. 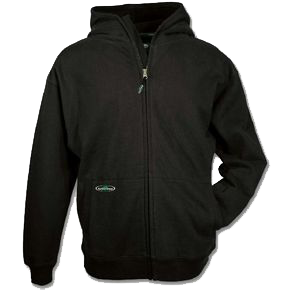 PolarMax Comp 4 PMX Hoody: This hoody goes from the street to the woods like a champ. It looks good and performs even better. When temps got low, I threw this on under my shell and never wished for more. Sitting in the stands at a hockey or football game without a jacket was now an option. Super soft on the inside and smooth on the outside made wearing this a true pleasure. The thumb holes in the cuffs keep the arms in place and my palms warm inside my gloves. Range of motion is awesome, it's super stretchy so highly active outings are no problem. 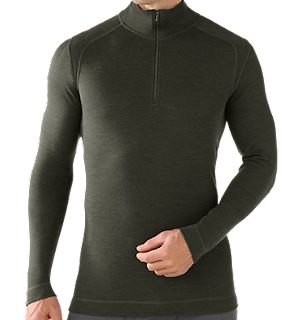 If anything, this may be a bit too warm for spring and fall use, unless you want to convert this from base layer to only layer, which honestly isn't a bad play. 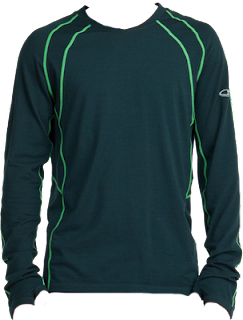 SmartWool NTS Mid 250 Zip T: Another versitile option is the Mid 250 series from Smartwool. Opt for the snugger fit and be ready for a long day on the trail. Integrated panels were located on the shoulders, with a hiker/backpacker in mind. No irritating seam being ground in by your straps. the seams that do exist are smartly located and lie flat to minimize chafing. I am not usually a half-zip kind of guy, but this one made temp regulation a breeze. 100% merino wool provides the warmth and comfort you want, and fights the odors you don't. A bit on the pricier side, but they rank right up there at the top of the base layer food chain. Hot Chilly's Pepper Skins: These are a flat-out steal. For the money, you can't beat 'em. 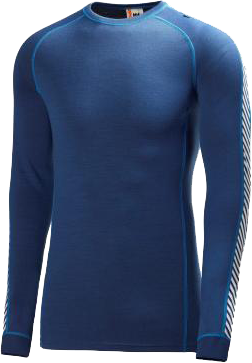 They are perform far better then any cotton long-johns around and do a great job of keeping pace with the more expensive options out there. Medium weight and good wicking performance. 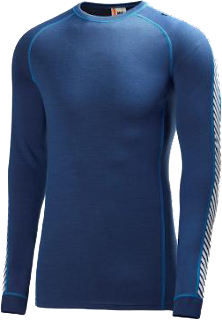 For those all-purpose base layer needs, seriously give these a look. The longevity is the one area where they fall a bit short. After about 10-12 washings, they had seen better days. For the average joe however, you really can't go wrong. You can pick up a pair of tops and bottoms for under $60, that's less than half of the competition. Columbia Omni-Heat: Looking for warmth? 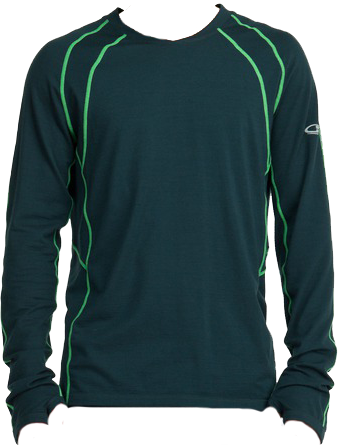 The Omni-Heat Technology in these base layers from Columbia is simply awesome. 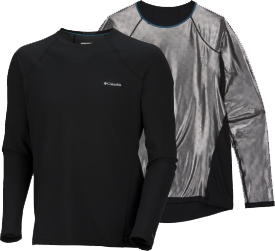 The 85% polyester long sleeve is lined with what looks like a perforated space blanket, reflecting your body heat back at you. The perfs allow it to breathe, while keeping you toasty. I honestly found them to be too warm for my more active outings. Snowboarding on a 25 degree day and I was shedding layers in the chalet. If you need/want to be down right HOT without bulk, this is the ticket. Arbor Wear Double Thick Sweats: OK, so these may not be a "base layer" by traditional definitions, but if you live in the frozen tundra of the Mid-West and partake in a local pass-time called "Ice Fishing" these things are the BOMB. Just as the name states they are a Double Thick sweatshirt and pants. Yup, that's two integrated layers of 12oz cotton building some of the warmest, coziness ever created. They are NOT light, but that is precisely the point. Throw these on under your snowmobile suit, grab your bucket and sit over a hole in the ice all day, then laugh at your buddies as they shiver their backsides off... Grab a set of these... You'll thank me later.